In the following interview with History Press West, author and local guide Karla Stover speaks about her new book, Hidden History of Tacoma: Little-Known Tales from the City of Destiny, and her interest in local history. AK: What is one of your favorite stories in the Hidden History of Tacoma collection? KS: Considering Washington’s reputation for rain, I love the problems Tacoma had obtaining decent drinking water. The warning to vegetarians about what was in the water tickled me no end. AK: What sites or stories are people most interested in when you lead walking tours of historic Tacoma? KS: I find that people come to neighborhoods they are familiar with to see if my information agrees with theirs and to correct me or add to the stories. I like that because it makes the tours interactive. AK: How did you get started hosting your local history radio program? KS: I was writing for the Tacoma Reporter and the editor sent me out to do a feature on brew pubs. My husband liked the assignment. He went with me and drank all the samples while I asked the questions. KISS, a Tacoma radio station saw the article and asked me to come on and talk about beer. (I don’t like beer.) The station broadcasted the local Triple A baseball games and when management found out I had been a baseball fan, they asked me to come on and provide a little color commentary. I can always talk, and they thought a short program on local history would be a good fit so they asked me to if I was interested. At the time I was working full time at Merrill Lynch and going to the University of Washington part time, but I said yes and got my program until the station was bought out. After that, I called KLAY, another local station in Tacoma, and persuaded them to give me a chance. I’ve been doing it ever since. AK: You also write in the mystery genre. How has writing fiction informed your approach to non-fiction? KS: Many years ago, a woman named Phyllis Whitney wrote mysteries, each of which was set in a different country and included interesting information about the country’s history. I liked that. A good mystery is equal parts character, setting and story. I follow Ms. Whitney’s example. AK: What inspired you to write your previous book, Let’s Go Walk About In Tacoma, and how does Hidden History of Tacoma complement that work? KS: For twenty-odd years I wrote history stories for a monthly paper. I have hundreds. I’ve always tried to write about things that were little known and hopefully had a touch of humor. Over the years, people asked me if I kept copies of all the stories so one day I just decided to organize them into a book. I had too many articles to include them all, and, since I wanted a balance in the sections, I excluded some and wrote a few new ones. Also, because local historians writing books for the Images of America series had used a chunk of the photographs available at the local library, I decided to skip pictures. 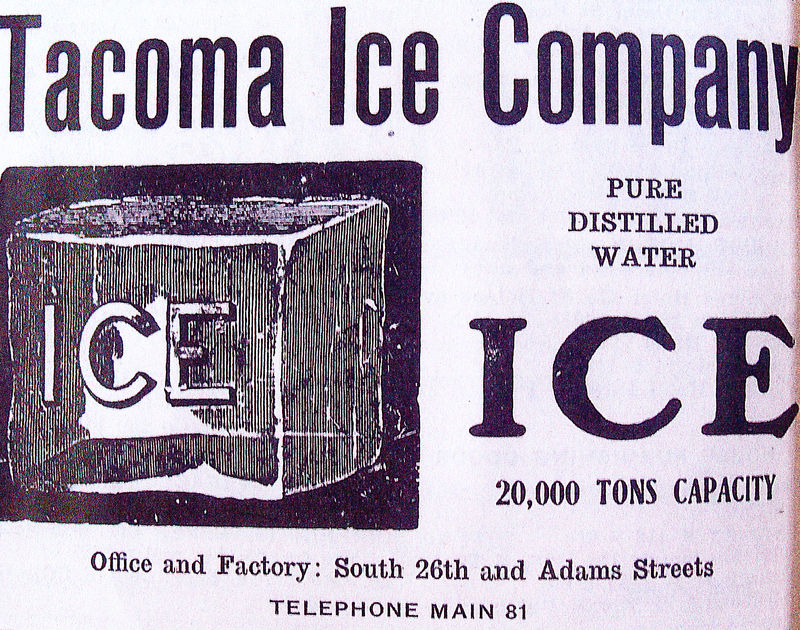 For Hidden History of Tacoma, I ran ads hoping to find pictures that people might not have seen and used postcards. 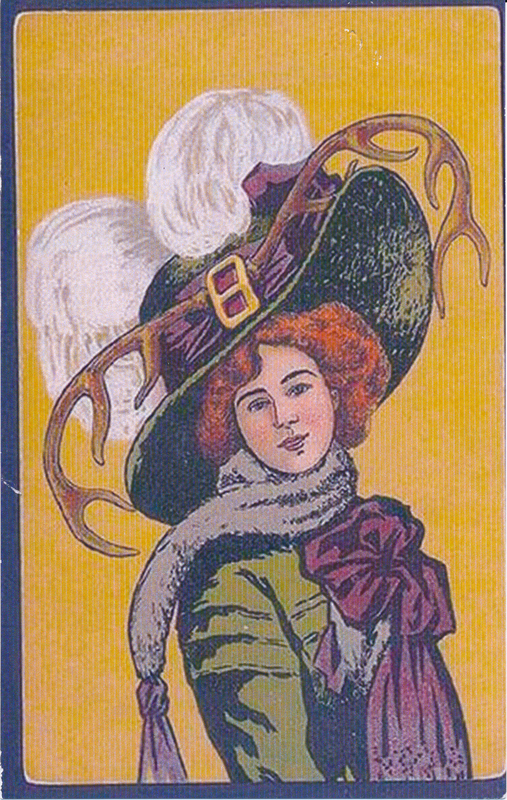 Sometimes a silly illustration, such as the lady with antlers in her Merry Widow hat, is better than an actual photograph. AK: Do you have a top five quirky characters from Tacoma’s past? KS: I love Dr. Spinning, who pulled teeth using a bullet mold and helped blood coagulate by using spider webs. Talk about ingenuity. I am forever in debt to Mrs. Alice Blackwell and her niece, Ruby Chapin Blackwell, for the memoirs they wrote. Also for their complete lack of racism. The men who thought they could build a flume from Mt. Rainier to Tacoma and slide ice down it have to be admired for their “can do” attitude, and poor Casper Witt and his problems with piling worms and his peg leg. These are great founding fathers. AK: What is your next project? KS: I have an agent for the mystery series and am editing the first book. I’m also finishing a young adult book in which a family comes to Tacoma in the 1870s. It focuses on 12-year-old Hildy Bacom, and I’ve written her into events that did happen–sort of a Forest Gump approach. Talk about a fiction writer’s dream: every time I have writer’s block, I read an old newspaper and wa-la, problem solved. Karla Stover graduated from the University of Washington with honors in history. She has been writing for more than twenty years. Locally, her credits include the Tacoma News Tribune, the Tacoma Weekly, the Tacoma Reporter and the Puget Sound Business Journal. 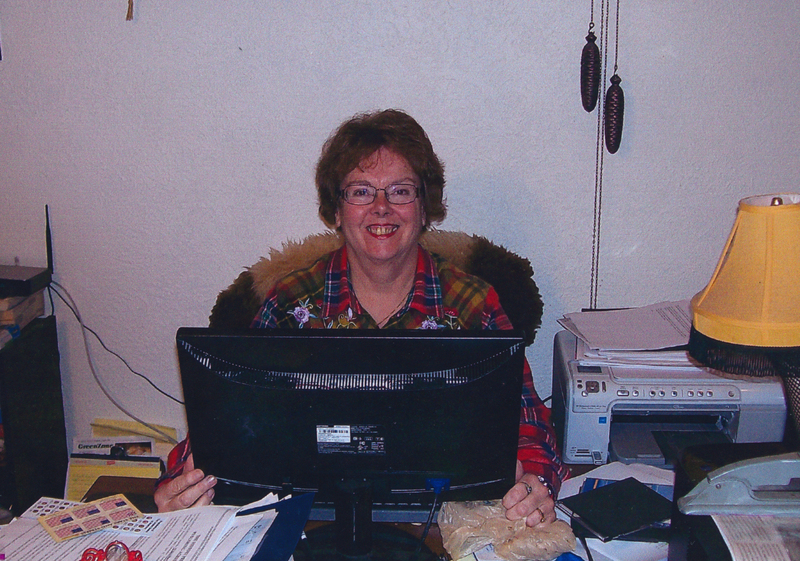 Nationally, she has published in Ruralite and Birds and Blooms. Internationally, she was a regular contributor to the European Crown and the Imperial Russian Journal. In addition, she writes two monthly magazine columns. In 2008, she won the Chistell Prize for a short story entitled “One Day at Appomattox.” Weekly, she talks about local history on KLAY AM 1180, and she is the advertising voice for three local businesses. Her book Let’s Go Walk About in Tacoma came out in August 2009. She is a member of the Tacoma Historical Society and the Daughters of the American Revolution. Her entire working career was at Merrill Lynch. Hidden History of Tacoma: Little-Known Tales from the City of Destiny by Karla Stover is available from Tacoma bookstores and the History Press.